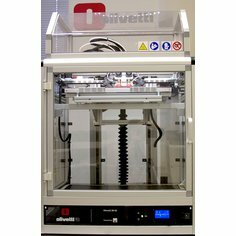 Olivetti 3D-S2 is the new 3D printer specifically designed for small to medium-sized enterprises engaged in the digital transformation process. With its large format printing capacity (up to 400x400x400 mm) and the high printing speed (over 150 mm/sec) the Olivetti 3D-S2 is one of the best performing 3D printers in its reference category, allowing objects of even considerable dimensions to be built quickly. 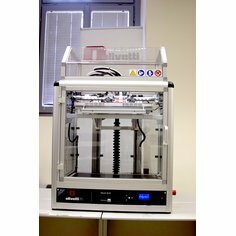 The 3D printing and rapid prototyping have become two activities necessary to the industrial development of a business. The ease with which the prototypes are produced compared to a few years ago has enabled many small businesses to become independent in the digital transformation of models. 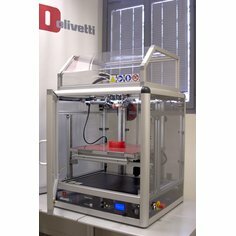 Olivetti S2 3D printer allows in short times and with complete reliability to build perfect models thanks to its large format print area and processing of various plastic materials. One of the most important features is the double extruder which allows more printing speed and a reduction of the breaks. 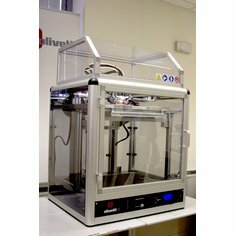 The rapid prototyping is a technique for the realization of prototypes that is based on the addition of plastic material through a spray effect that allows the creation of prototypes of any shape and complexity.